Your summer may not have been as relaxing as you would have liked but there’s always another one on the way! Make the free and easy times of summer everything they can be with your own in-ground swimming pool. Swim-Mor Pools and Spas has three locations in Southern and Central New Jersey to make your dream of having your own backyard swimming pool a reality. 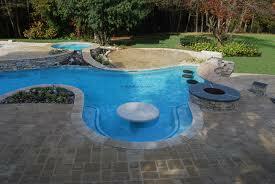 Since 1967, Swim-Mor Pools and Spas has been making their customers happy with custom in-ground swimming pools.